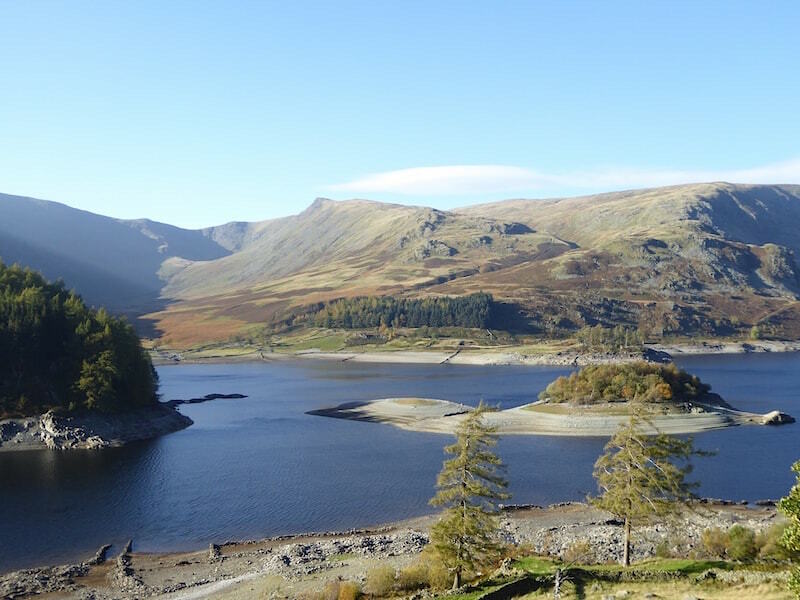 From the roadside a view across Haweswater over to Kidsty Pike. 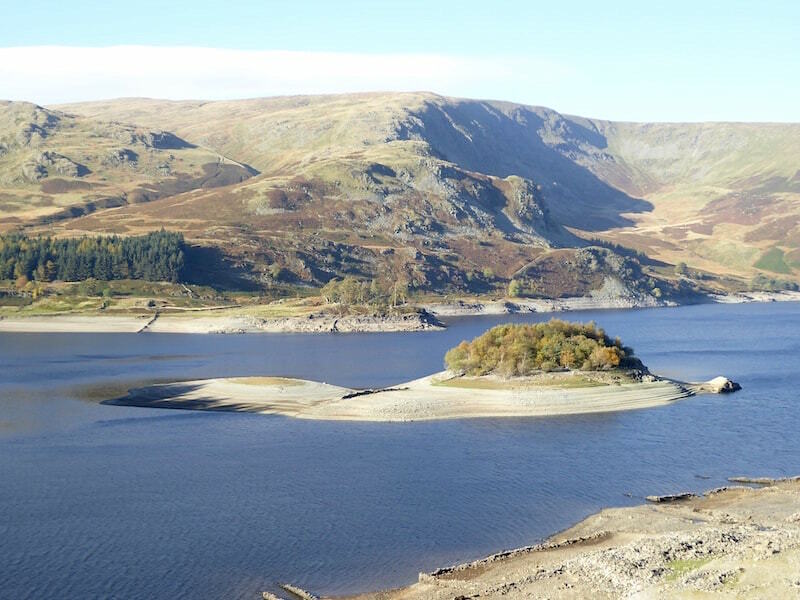 The little island of Wood Howe, more of it showing than usual due to the low water level. 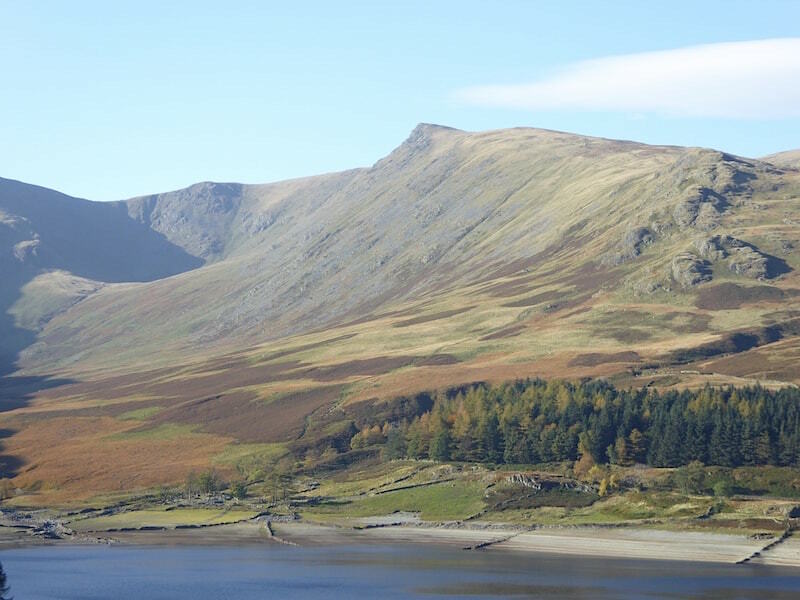 Wood Howe standing out clearly in the bright sunshine. 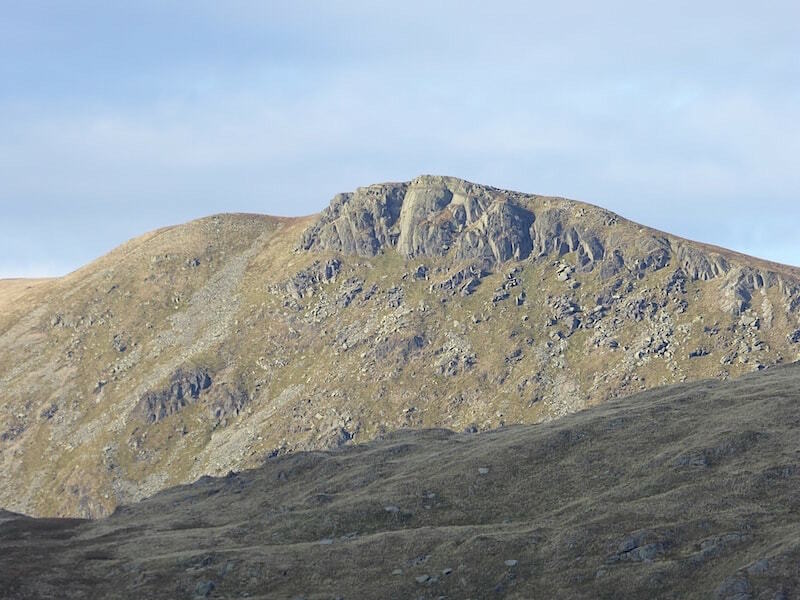 Swine Crag across the head of Mardale. 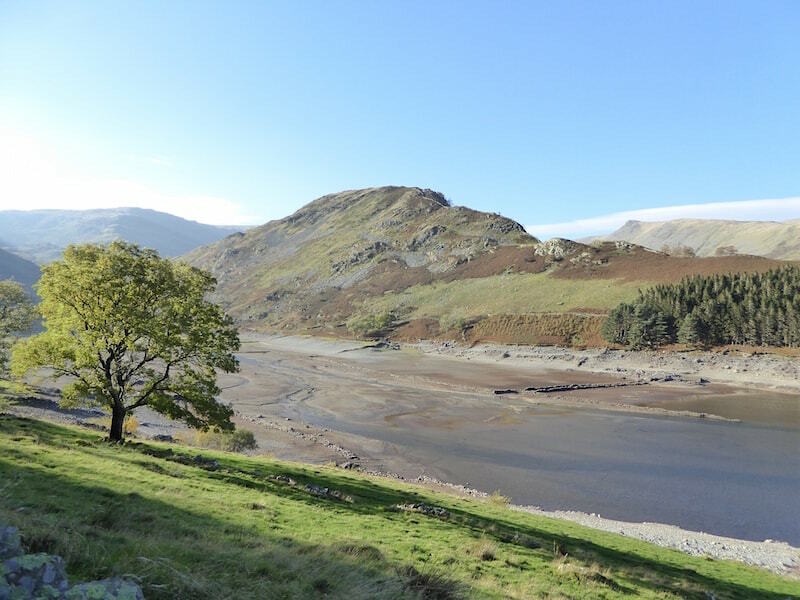 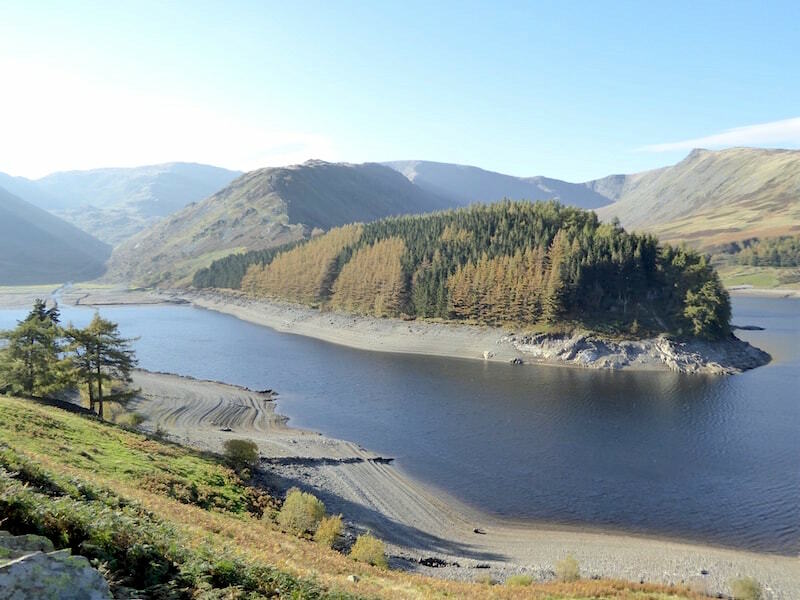 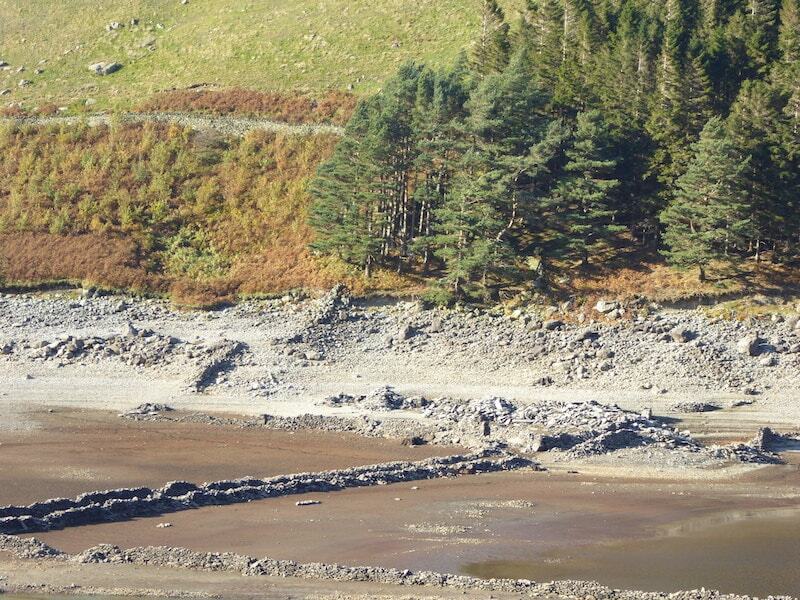 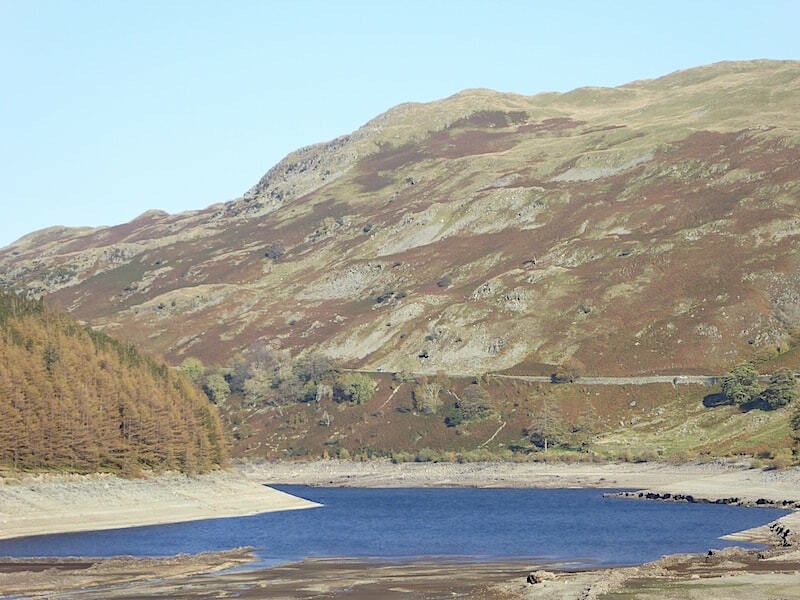 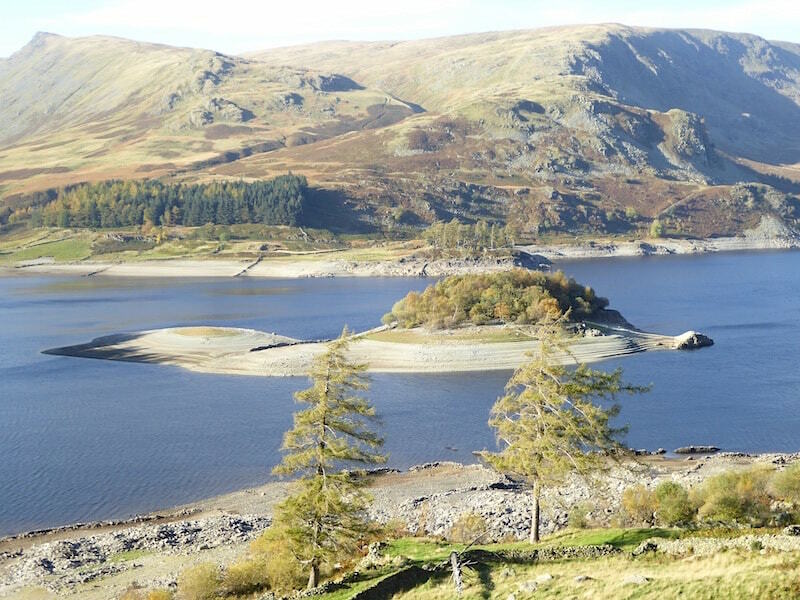 The low water level reveals the old walls of Mardale. 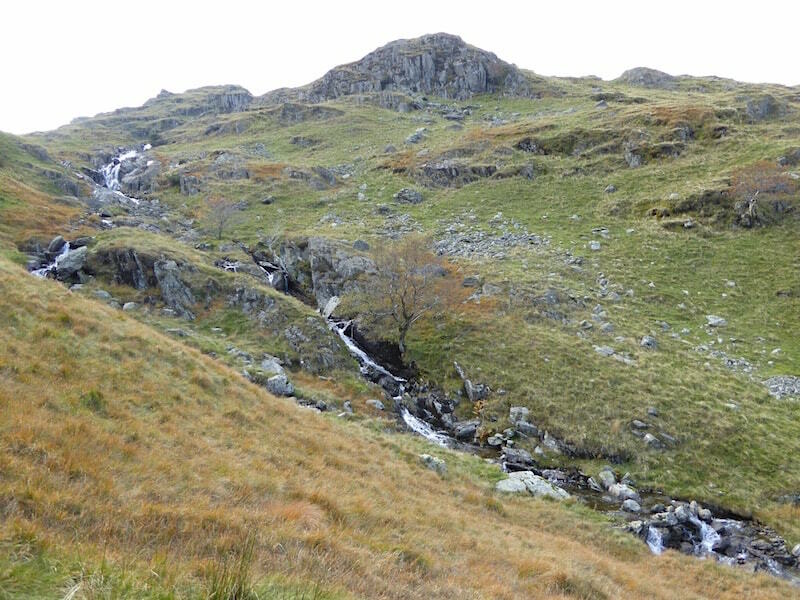 Smallwater Beck below Piot Crag. 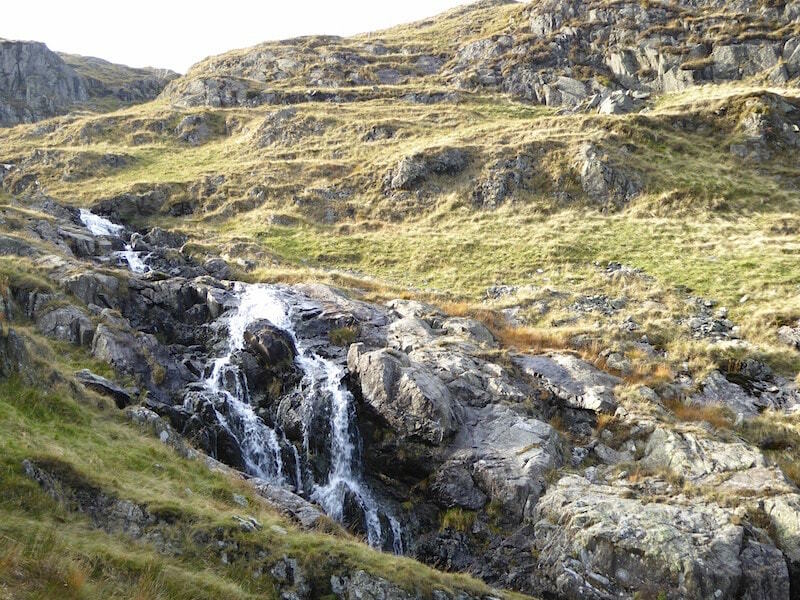 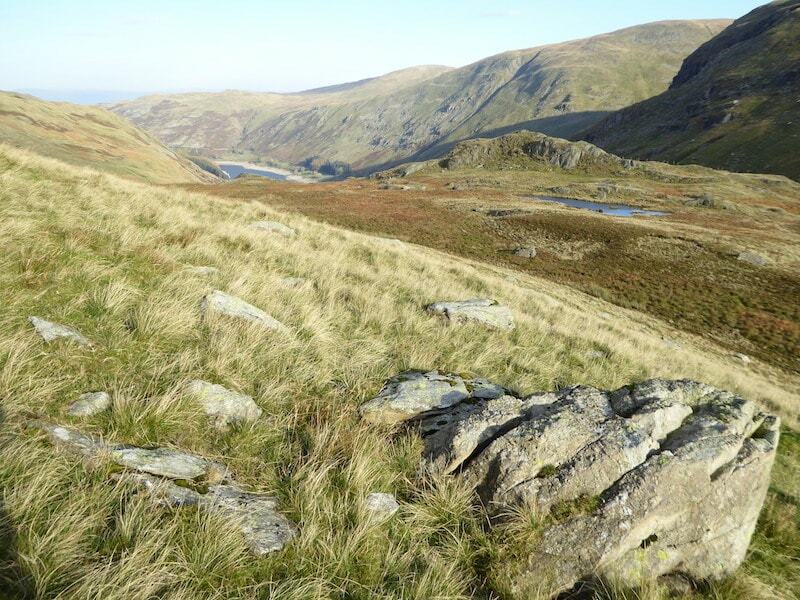 Looking back down Mardale from the beck. 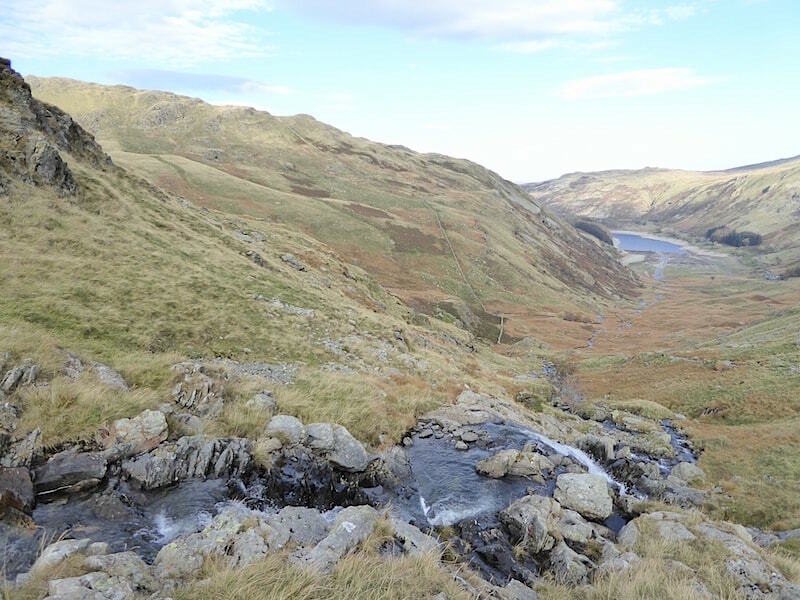 A glimpse of Haweswater down in the valley, and un-named tarn over on the right. 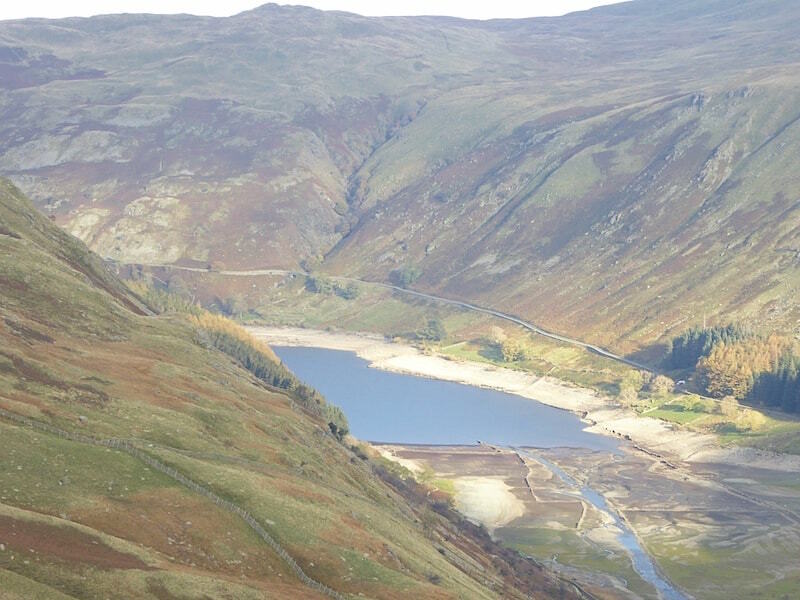 Zooming in on Haweswater far below us. 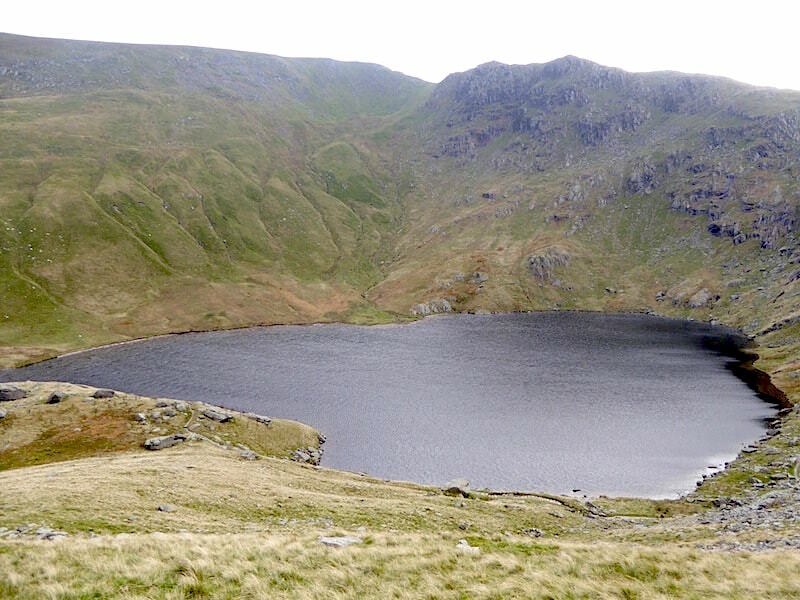 This was as high as we went, any further and we would have been up on the ridge and face on into the strong wind. 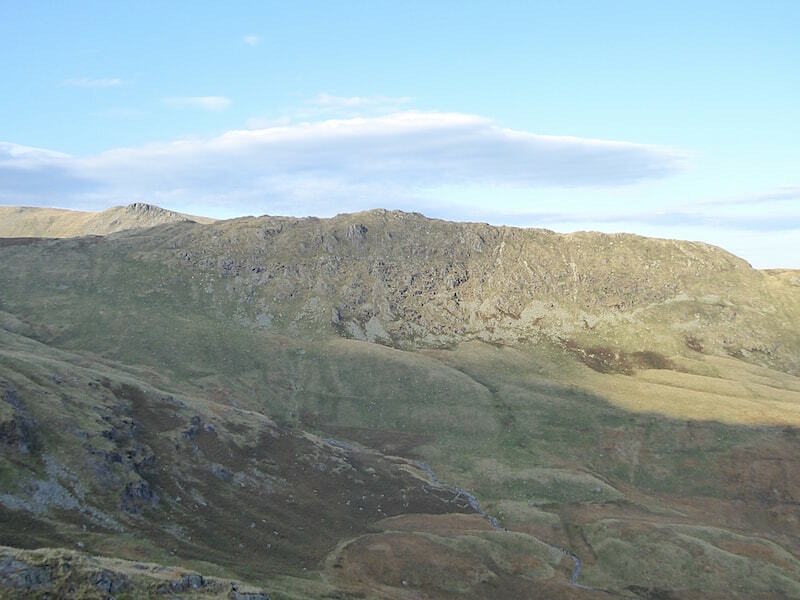 Looking across to Caspel Gate with the rocky top of Kidsty Pike just behind it. 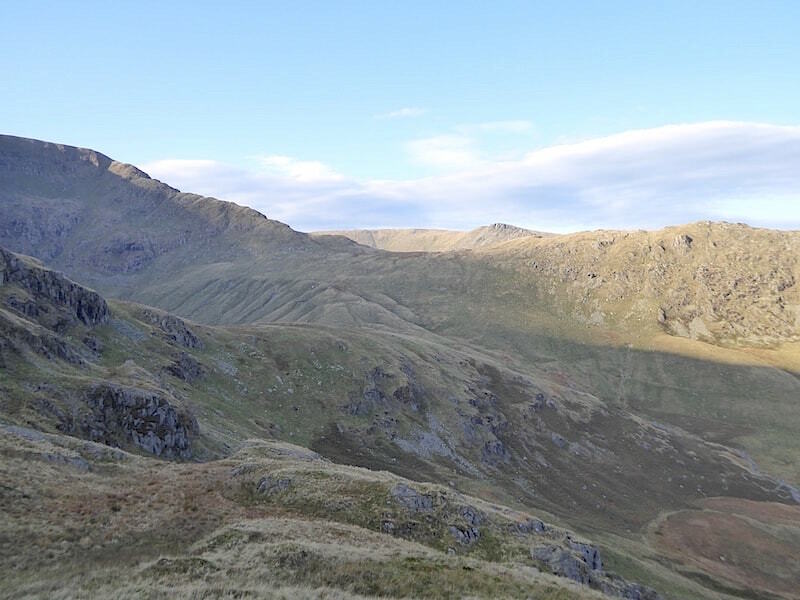 Rough Crag with Kidsty Pike just peeping out behind it on the left.